A little while back, it was discovered that Call of Duty: Black Ops 4 will require a minimum of 100GB storage space on your PS4, but a new report from Eurogamer provides a little more detail on the matter. It seems that the 100GB - or 112GB to be precise - is simply required for the installation process, and the final size of the game will in fact be around 55GB. However, if you purchase the game physically, you'll have to download a 50GB day one update to get the game working. 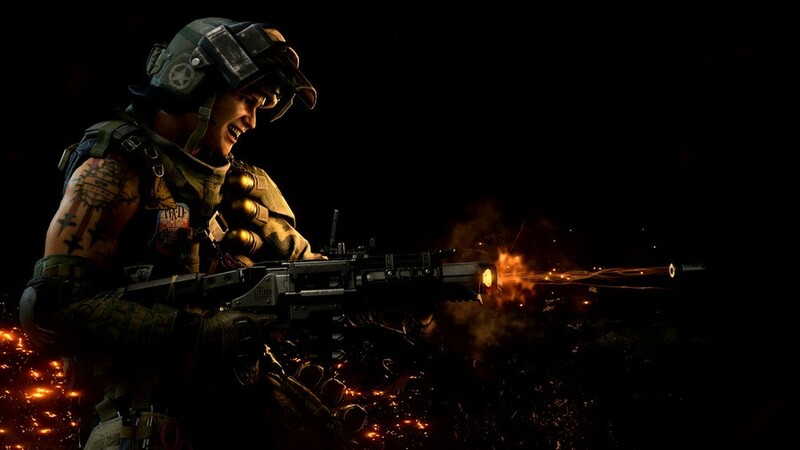 The patch is required in order to play regular multiplayer, zombies, and Blackout, but you can start playing the latter after around the 20GB mark. It's a hefty amount of data to expect players to download straight away. If you wanted to play your new copy of Black Ops 4 on launch day, you may have quite a wait on your hands. 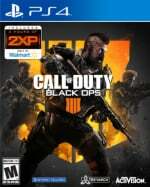 Are you worried about having to download 50GB for Black Ops 4, or does it not bother you? Cause a blackout in the comments below. Wonder if it Will be the same with red dead redemption 2. Hoping to see the 2 disc thing come back for that game. it's faster and rockstar have done it in the past with gta v for xbox aswell. I think it's not problem for this game since it's online only title anyway. When the streaming future arrives, you won't necessarily have to download anything. @FullbringIchigo 4k assets are optional on X1. There is an option to download or not. @FullbringIchigo there is an option in the settings to not download the enhanced updates. I'm fairly certain it is not enabled on the base model by default though so either the devs are making it all part of a compulsory download or this is the standard update file. But the option is definitely there. If the game only requires 55GB when it's installed but there is a Day 1 50GB download does that mean the disc only has 5GB on it or are the discs so badly corrupted after going gold you need to redownload the entire game? And under no circumstances should a company be allowed to refer to 50GB as either a "patch" or an "update". Certainly not if the full game installed is only 55GB. You aren't downloading a patch or an update, you are downloading fully 90% of the game. You are downloading the game. If you pre-order and download the entire game in advance do you still need to download another 50GB day 1 to "fix" your broken install? None of the pages, for all the different versions, on the PSN Store say how large the game is. I can't believe you are all taking this so calmly. Though I suppose a lot of you have zero interest in this game. I know I don't, but 50GB Day 1 is nuts. Maybe if the game were 500GB then 50GB wouldn't seem so bad. @rjejr My thoughts exactly. Why the 50GB download if the game is only 55GB? And at 55GB you have to wonder if they couldn't have compressed it a little more, so it would all fit on the disc anyway. It seems like a weird case of day-one patches getting out of hand. I certainly hope RDR2 handles this better. There also needs to be consistency. COD says it needs 100GB on the box (which turns out to be 112GB); but this takes into account the extra data required for installation, because the final game is ''only'' 55GB. Spider-Man says 45GB on the box, and the game is in fact 45GB, but you still need around 90GB of free space to install the game. The data on the back of the box could either refer to the final size of the game or the amount of space you need for the game + installation, but that isn't clear from looking at the box alone. @rjejr It does seem as though the Disc contains nothing more than a 'licence' to play the game and a launcher that triggers the games installation from an online store or launches the game when installed of course. In some ways, it doesn't matter where the game code is, it still needs to be installed onto the console and doesn't play from the disc. You never own the game code anyway, just the licence' to play. It only affects the installation - especially if you have no/limited internet - but then why buy BO4 without internet? Its not like you will be playing the offline campaign is it! Long term, it could be a problem - years from now if you want to re-install and play but chances are the game will not be worth playing if there is no internet service to the consoles anymore. As for storage space, I do wonder if the 112GB is referencing the DLC - even if you don't buy, often they need to add the content in a patch so that it 'works' properly with the main game and just lock you out of it if you don't. Well that's b/c you spend as much time as me over an NL where this is a semi-regular occurrence and we're used to reading all the panicked posts. And even if they could only fit 50GB on the disc, make the Day 1 download the other 5GB, 50+5=55. A 5GB day one patch would hardly even warrant an article these days, practically par for the course sadly. But this all reads wrong, I'm still waiting for real world usage before I believe it all. @BAMozzy "especially if you have no/limited internet"
Internet isn't an either or proposition though, you either have it or you don't. Where I live with the company I have internet access with I can get either 10GB, 20GB, 100GB, 200GB or 400GB. Some people and places in the US are stills tuck with DSL. And with the slower internet speeds playing online is probably fine, if you can install 50GB off of a disc. But its' going to take a very long time Day 1 to download 50GB over DSL. Even with 10GB it would take me awhile. Hasn't anyone here pre-ordered and pre-installed yet so we can see what the actual size is or has the pre-downloading not begun yet? @Anguspuss Yeah, maybe that's too much, especially when some unsuspecting gamer put the disc on friday or saturday night hoping to play the game a couple of hours before sleep, and instead have to download that big patch. anybody with data cap could be waiting til month two to play it, nevermind day two. quite frankly there should be a size cap on updates, anything more than a few gigabytes is excessive imo. what kind of mess is the code in if you need to replace/update pretty much the entirety of the game? WWII had zombies and multiplayer, and 4K and a full campaign and still fit on a single disc. i'm puzzled how a single battle royale map could take more resources than a campaign. @rjejr by downloading the patch you're basically replacing almost the entire game that's on the disc. the same happened with everybody's golf that had a 10 GB day one patch - replacing everything that's on the disc. @manu0 That's what it sounds like, but if that is the case, throw all of those discs in the trash and start stamping new ones pronto that don't require us redownloading the entire game. And anybody who buys this version of the disc should be able to mail it in and have a fixed one sent to them, b/c nobody who buys a 50GB game disc should need to download 50GB. At some point this will need to be made illegal, you shouldn't' be allowed to sell basically empty or broken discs to people. I'm ok w/ a small update or patch, say 10% of the game size, but 90% means the disc is basically worthless, little more than a license unlock key. Which is fine if that is mad every clear on the box - this box only contains a license key, the full game must be downloaded. But it has to be made clear. And the game being "online only" so it requires online to play isn't a valid excuse, bandwidth is limited to some people, or they have to pay by the GB, not the same as the small amount of info required for playing. But we'll see what the truth is come Friday, it's all just hearsay and speculation now it seems. I don't get it don't blu ray discs hold around 300gb of data anyway wasn't Sony also looking into 750gb sized discs as well ??? @rjejr Amen. This is ludicrous. There should be a 1GB limit in the first week. This is just abusive of updates and inappropriate. 50GB is just unacceptable. @Jaz007 I do allow for day 1 updates b/c one thing old consoles didn't have was OS updates. 5.0, 5.327, 5.8, 6.0. I assume games check to see what OS is running and they need to account for updates. So there's that. But it's crazy now. I think God of War, which had no DLC or season pass, had an update every day the first 13 days. None of them was big, but still, 13 updates in 13 days seems excessive. And that was well before photo mode. I don't know what's up with 50GB, I'm waiting for an explanation. This nonsense happened on Switch a few times but we all know why, companies are to cheap to pay for larger carts. I'm curious now what RDR2 does as well. If they don't stick two 50GB discs in the box I'll be disappointed. LoL 50GB... Why I buy a physical copy then? This is sad... they are gonna push gamers as far as we allow them too. I have no problem downloading 50gb of data, but I know there are alot if people that do. It should be a limit this is unacceptable by any measure! And NO campaign smh. I was never gonna play this game so not an issue for me, but people should become used to huge game sizes by PS5 I'd hope. Stop complaining. I'm sure we'll have the chance to buy the more expensive Deluxe Edition with the game actually on the disc! My son can not download this 55gig of updates or game files.. he has tried 3 times..so frustrating any ideas on why its not downloading please it starts really slow we cant wait a whole 8 hours either ..I assume the net connection is not able to ? it is ridiculous ..